Your data and server rooms are of the utmost importance to you and your business. So why leave them at risk of overheating, crashing and hot spots? General recommendations, although varying slightly at times, suggest that your server room should not fall below 50°F or above 82°F. Although this seems like a fairly easy temperature range to maintain, when you factor in the excessive heat radiating from the equipment, ambient temperatures, hot spots and central AC downtime, it becomes clear this might be quite a feat. Maintaining appropriate temperatures and humidity levels are necessary to keep equipment operational. 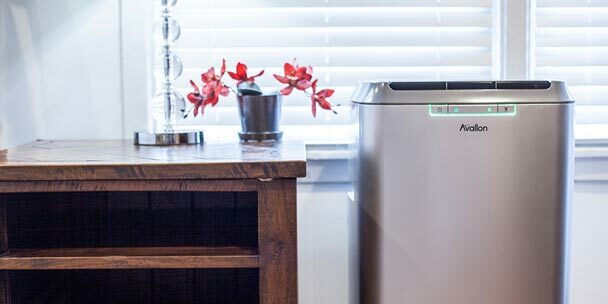 Portable air conditioners offer supplemental cooling, cost efficient cooling, spot cooling, dehumidification and in case of central AC issues, a dependable cooling back up plan. 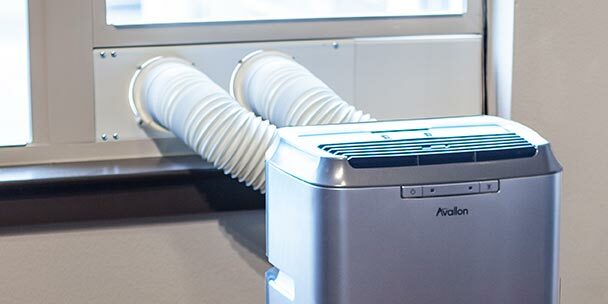 On nights and weekends, when most central AC units are turned down or off, a portable air conditioner can be used to keep server rooms cool and functional. How Do I Vent a Portable Air Conditioner in a Server Room? 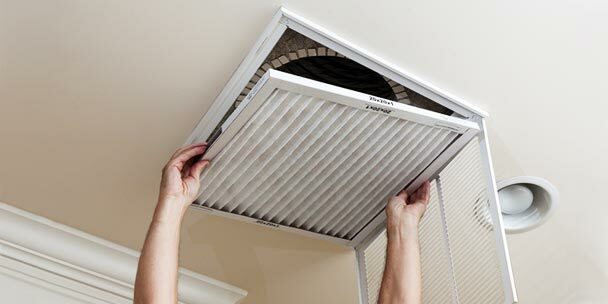 An easy to use drop ceiling vent kit is the most popular form of venting in server rooms. 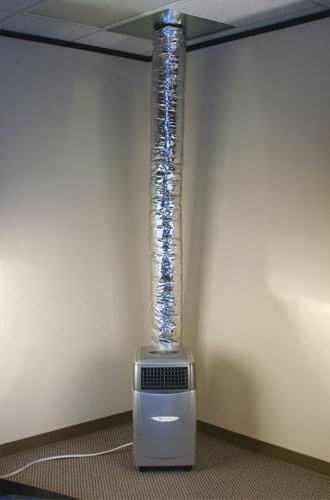 In this case, the exhausted moisture and heat goes our of the room through the exhaust hose into the space above the ceiling tiles. 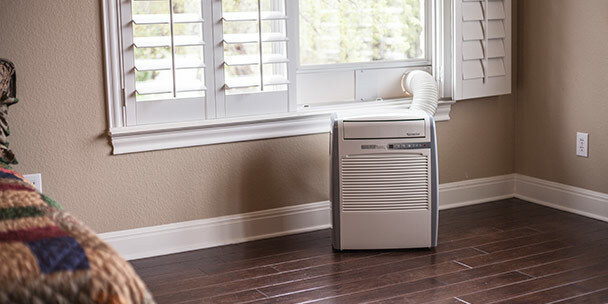 Can I Keep a Portable Air Conditioner Running Continuously? Yes. 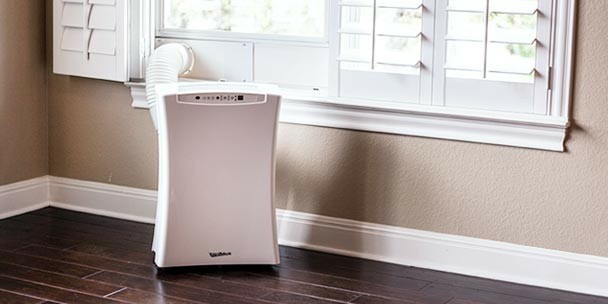 If you use a portable air conditioner that has a “self-evaporative” property, you won’t have to worry about draining any condensate or water because all of it will be exhausted out through the vent hose. 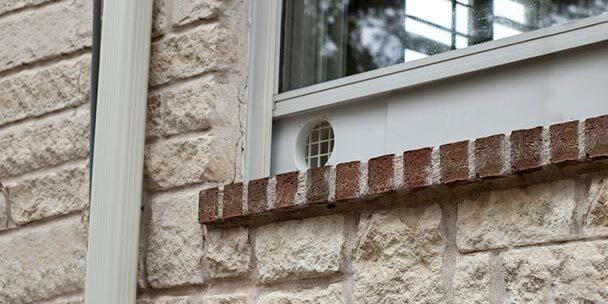 This allows you to keep the unit running continuously and also leave it overnight or over weekends without having to worry about leaks or disruptions happening when you’re away from the office. 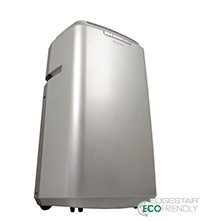 The EdgeStar Server Cool 14,000 BTU Portable Air Conditioner comes highly recommended for server room use. It offers self-evaporative technology as well as an automatic restart function that, in case of a power outage, will automatically turn back on to its previous settings when power is regained. With a dehumidification capacity of 86 pints per day, it can keep your important equipment cool as well as dry. Also, due to its rolling casters, you can move it around the room to cool specific hot spots. The best part of this unit is the warranty. It comes with a 1 year advanced replacement warranty, which means that if for some reason the unit has stopped operating correctly you will be sent a replacement right away. This ensures the server equipment is not at risk waiting for the air conditioner to be sent back before a replacement can be sent. Take it from customers who have put this unit to the test in their own server and data rooms– the EdgeStar Server Cool gets the job done, so you can do yours. To read these and other reviews, visit the EdgeStar Server Cool’s product detail page. 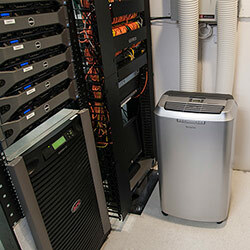 If you’d like more information or recommendations on server room cooling, call our product experts at 855.302.6628. 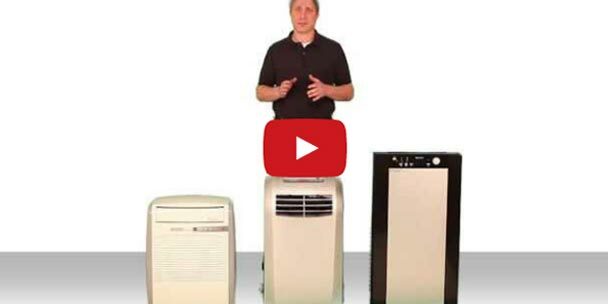 Portable A/C Units: What’s the Difference Between Dual and Single Hose?